**JUST IN!! **Stunning INDIAN CHEIFTAIN - DARK HORSE - IMMACULATE CONDITION, ONLY 1330 MILES FROM NEW! ALL KEYS AND BOOKS PRESENT - FULLY LOADED! 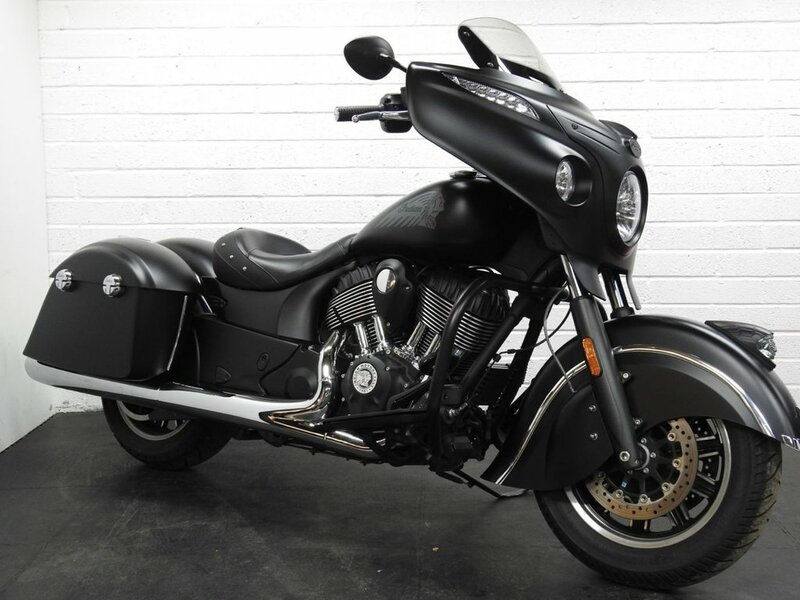 The new Chieftain Dark Horse is simply the tourer everyone has been waiting for. The Thunderstroke 111 Ci engine produces 102.4 ft-lb torque, 6 speed, remote central locking, cruise control, ABS, powered blade screen, Audio Bluetooth system, computer, driving lights, keyless ignition, Illuminated war bonnet. Remainder of the 5 years Manufactures warranty (expires august 2022) , low rate finance packages and unrivaled performance and reliability in this sector. This bike comes with rider only saddle as standard. Rideworx can supply and fit performance and styling extras. FINANCE SPECIALISTS / PART EXCHANGE WELCOME / WARRANTY AVAILABLE / CREDIT AND DEBIT CARDS ACCEPTED / DELIVERY POSSIBLE. To arrange a viewing or to discuss your options further, please feel free to contact us on 01344 887 007 or 07506 105 058 Rideworx specialise in motorcycle sales and finance. We also offer full workshop and diagnostic facilities for all your service needs.